There are times when people choose to talk about dyslexia as an advantage, because of the particular strengths that an individual with dyslexia has, in comparison to someone without a reading disorder. The suggestion is that individuals with dyslexia: view the world differently; process information differently; and, use their brain in different ways to people without dyslexia. It is rare to hear dysgraphia and dyscalculia described as gifts but this may, on occasion, happen. The evidence suggests that learning disabilities do not, in fact, provide students with unique gifts. It seems more likely that every individual with a specific learning disability is different and that there are no identifiable common areas of strength. There are certainly common areas of difficulty, and many individuals with learning disabilities do have unique strengths and talents, but not to the extent that an observable pattern can be identified. Some students with learning disabilities display strong skills in the visual or performing arts, mathematics or the sporting arena, as do many students without learning disabilities. At the same time, there are many individuals with learning disabilities who struggle in the arts, mathematics and sport but enjoy and excel in another area. Essentially, students with learning disabilities display a range of strengths and weaknesses in the same way that students without learning disabilities do. 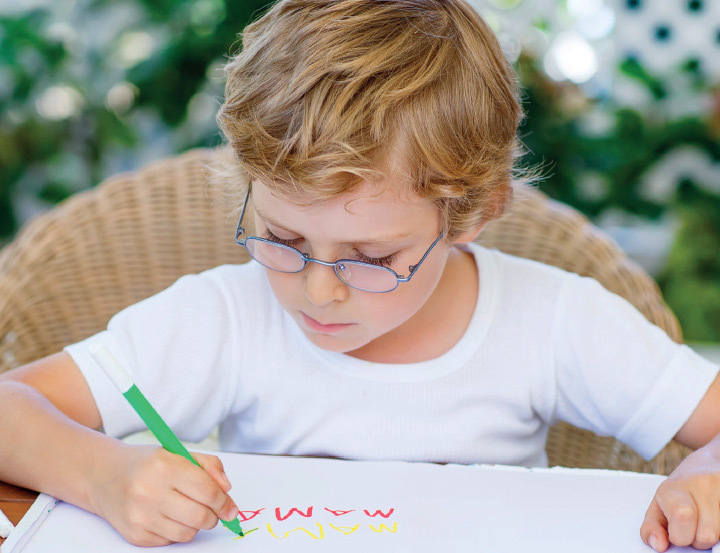 There is, however, some evidence to suggest that students with learning disabilities often develop a high capacity for persistence – possibly as a result of having to work so hard in the early years to achieve academically. When they discover an area that is not as difficult for them (e.g. art v/s reading) they are likely to enjoy it more, find it easier to achieve in, and perhaps view it as an area of strength. They may choose to focus on the area, receive ongoing positive feedback (particularly in comparison to their area of difficulty) and gradually develop a higher level of skill and knowledge in the area than many of their peers. Having an area of strength (or several areas) is important as students should not be defined by their learning disability and should feel confident and positive about their many talents and skills. A summary: Supporting students with learning disabilities – the important role of parents. Help their child to understand what a learning disability means.